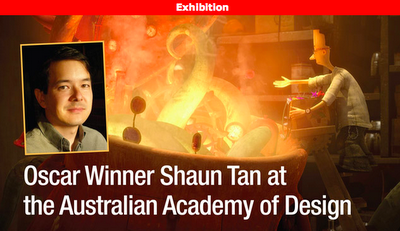 This exhibition, curated by Books Illustrated, showcases original artwork by Shaun Tan from his book The Lost Thing as well as representing a ten-year period of creative development for the animated film,The Lost Thing, based on his acclaimed picture book of the same name. Included are conceptual drawings and paintings by Shaun, who was both artist and director for the film. Books and DVDs will be available for sale. A replica /print version of this exhibition will also be showing in Port Fairy, Victoria. 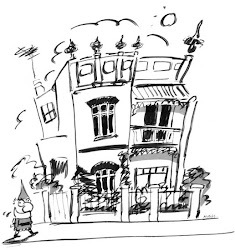 Venue: Blarney Books and Art, 37 James Street, Port Fairy, Vic. PH: 03 5568 2174. Date: 3rd September to 31st October. Hours: Thursday to Sunday 11am to 4pm. Open every day during the school holidays. Thank you for the info. Enjoy the exhibition and have a wonderful time! !